BTF-Sports Turf is a four-way bluegrass blend that has a deep, fibrous root system. 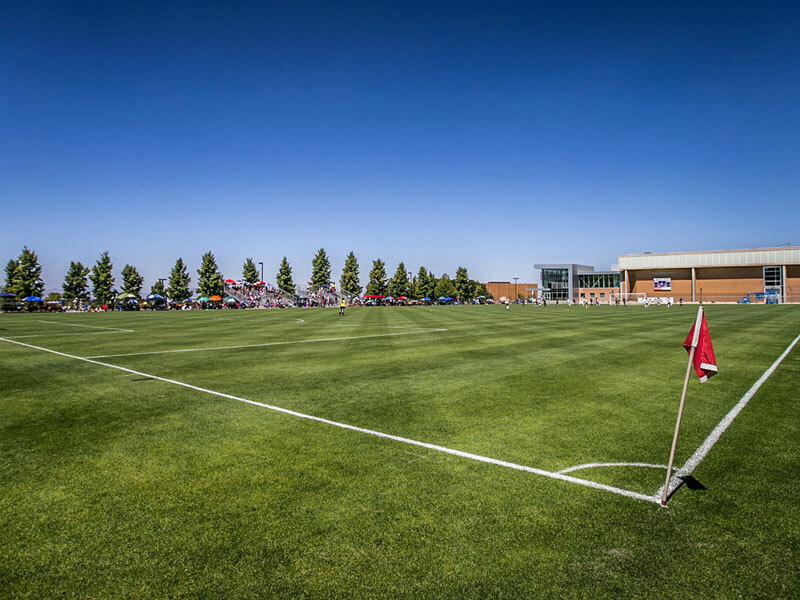 It’s high ratings in overall shear strength across multiple blends, mixtures and species at Cornell University, make it ideal for the rough play that sports fields have to withstand. BTF-Sports Turf has terrific winter color up, excellent spring-time green-up and the ability to fight drought and heat. Our sports turf also has an extensive rhizome root repair system. Rhizomes are what spread out to bare spots in the grass and send out new roots, which allow the turf to constantly and quickly self-repair from heavy activity.